The blog has been put on hold this week as I continue to pass out resumes and prepare for interviews. I had 2 interviews this week and I will find out next week how it went! 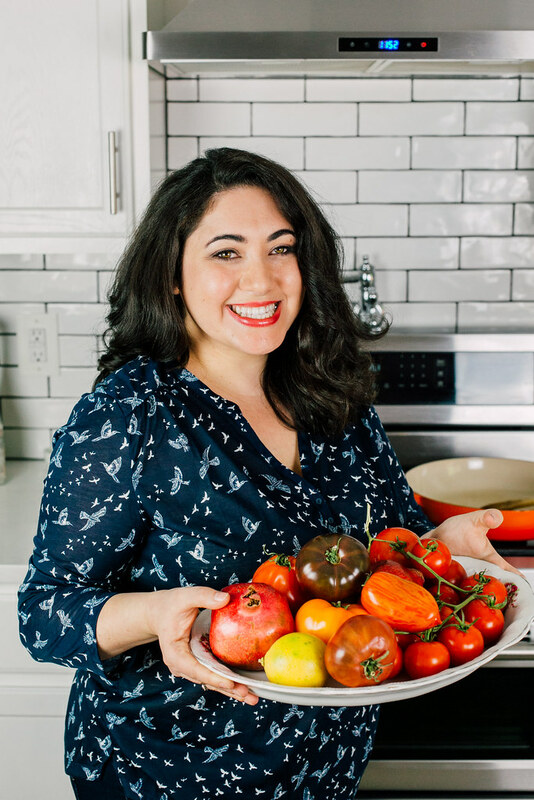 Even though I love, love cooking and blogging, my other passion is health education and I am planning on making a career goal to move up in the Public Health world. I was thinking of creative ways to use pasta. 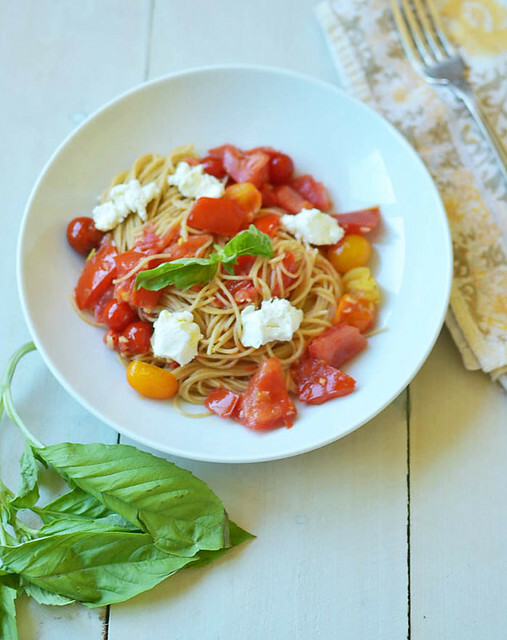 We eat pasta all the time in the Ferraro house, but I decided to keep it classic and simple, just like me and showcase the amazing summer flavors of heirloom tomatoes. So therefore, the decision to make Heirloom Pomodoro was made! Why wouldn’t I make something with tomatoes, naturally? Joe was skeptical to try the whole wheat pasta, but after I cooked up the angel hair with pomodoro sauce, he couldn’t believe it. And let me tell you, all these opinions are completely my own! The only thing with angel hair is that it cooks very quickly because its so thin, but the whole wheat version has double the fiber and tasted fabulous. It wasn’t too al-dente and had a perfect bite. 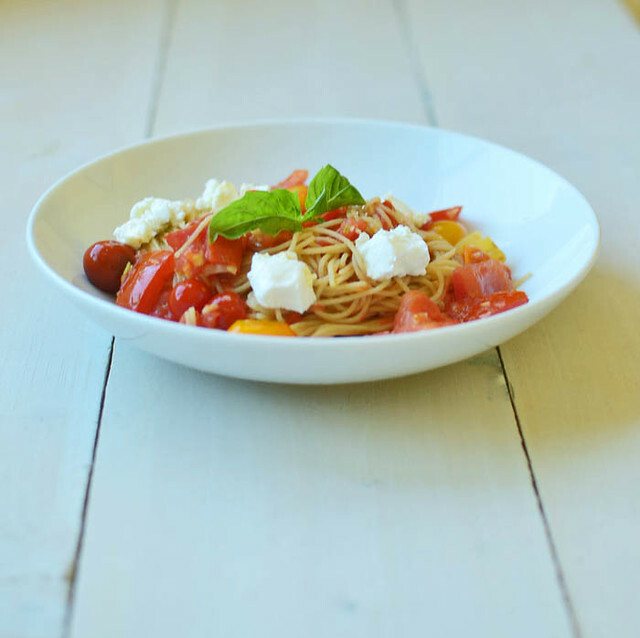 And for your info, the word “pomodoro” means “tomato” in Italian, which makes perfect sense since this easy dish is a bowl of tomato love! This is also a very common dish during the summer time because it’s so light and quick to make. Start by heating up a good drizzle of oliv oil in a large skillet. Add chopped garlic and allow to slowly carmelize. Meanwhile, cook angel hair pasta in boiling water until al-dente. It cooks fast so keep your eye on it. Once the garlic is begining to golden, add tomatoes and roughly chopped basil. Season with salt and pepper. Allow tomatoes to cook until they begin to break down a bit. When pasta is done, use tongs to add pasta directly to tomatoes. Toss to combine. Bowl up your pasta and drizzle with an extra turn of olive oil and top with small pieces of creamy goat cheese and more fresh basil. Ok I have no idea what it is, but this week I have wanted pasta in a MAJOR way. I rarely ever buy pasta but I seriously want some. Hi Sam! What a GREAT giveaway!! My favorite pasta dish is good old fashioned spaghetti and meatballs. 🙂 You have to love the classics! 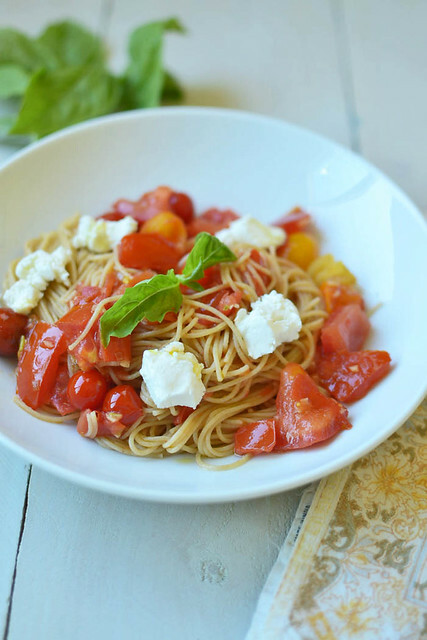 Angel hair with fresh tomatoes and garlic! 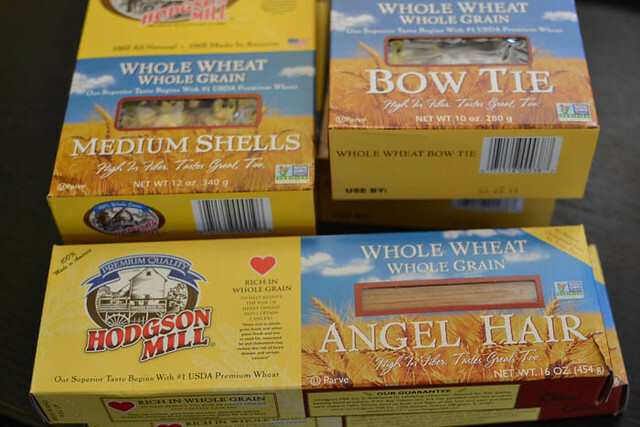 Whole wheat pasta is usually preferred in my house, I love it. Your dish looks so fresh, I will use some of our garden tomatoes for this! Thanks! Favorite pasta dish? So far, ravioli. I love pasta bolognese with lots of veggies! I buy whatever pasta is on offer but there’s always some in as it’s a great staple. A lot of times it’s very simply pasta with tomato sauce and cheese but my all time favourite, made only for very special occasions as it takes 2 days and is fairly expensive, is the sauce that Quentin Tarantinos mom makes. Incredible.